I’ve reached a milestone. In the past seven months, I’ve somehow managed to run 20 5K races. I’m wheezing even thinking about it. I know this is a jog around the block for serious runners. But for me, who previously collapsed in a heap after two minutes on the treadmill, it’s huge. 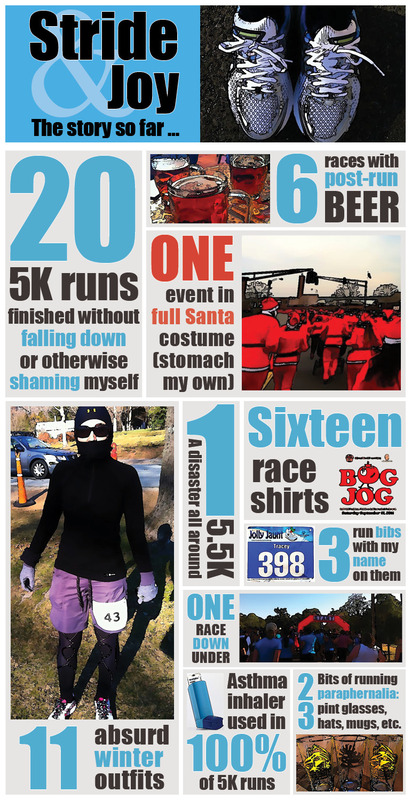 This entry was posted in Fitness, Humor, Running and tagged 5.5K, 5K, asthma, running apparel. Bookmark the permalink. Congrats!!! That’s a huge accomplishment. Be proud!! Congrats! I survived one, and then I moved on to marathons exclusively. That’s right. I volunteer at water stations now. Ha! That’s about the only association I’ll ever have with a marathon! Cheers. I think this is great! You are inspiring me to keep going and get back to my 5k running, currently struggling with the 1 mile runs. Keep it up, you’re awesome! OK, I’m impressed by the actual accomplishment… but I’m also impressed by your cool graphic. Did you make that yourself? I love runners with a sense of humor and congrats on your accomplishment! Kudos Tracey – very impressive stats! Congratulations! 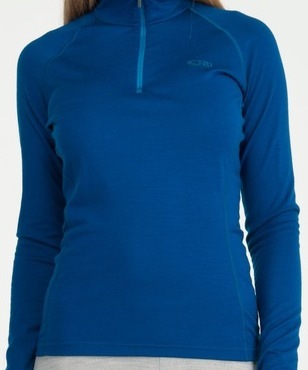 Yes, cute running gear is in order. 🙂 I’ll buy a second pair of tennis shoes to keep at home. I forgot them again last weekend. I tend to do things like that (self-sabotaging or maybe I’m just growing senile) so now I have to struggle to catch up. Keep the posts coming! You’re making a difference for me. Thank you! I was thinking that if this whole running thing doesn’t work out, you could change your focus to condoms and call yourself Stridex and Joy. You’re welcome. this is amazing. Words can’t explain. Just.. wow! Congratulations on an amazing achievement and a brilliant photo collage – I love it! Love the visual. It’s a great way to celebrate your many accomplishments. Looks like we have run a few races together and will be running a few more ! Was your Santa Run in Vegas for Opportunity Village? I will be doing Hynes this weekend, I will look for you! Hey! The Santa Run was actually in New Bedford, Massachusetts. But I love the idea of Vegas! Definitely look out for me. I’m always in the same outfit, although this weekend is going to be so warm, I might forego the usual uber-tights! I’ll be at the back of the pack with the red face though! 🙂 Never done a five mile before. Eeeek.